I love when my garden smells as good as it looks. We have plenty of space to have scented plants in the garden, but I like to fill pots with them, too. 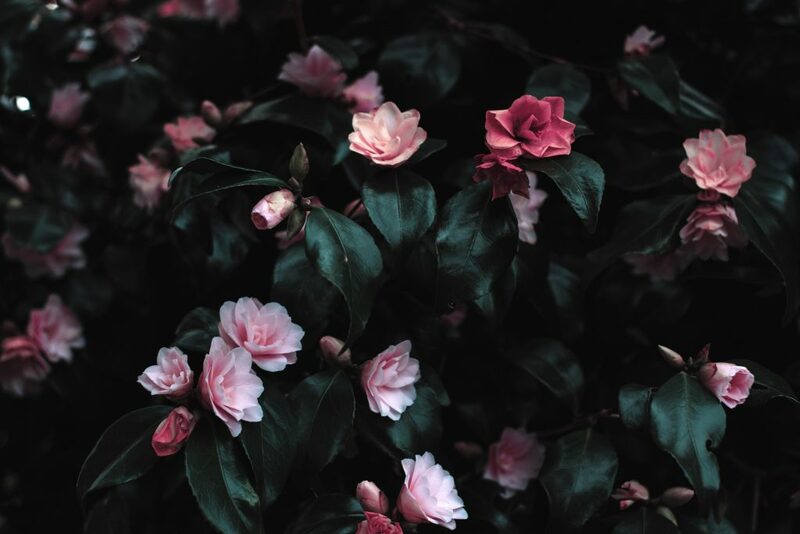 A bunch of scented plants in a wheelbarrow looks really cute and you can move it around your yard as needed. 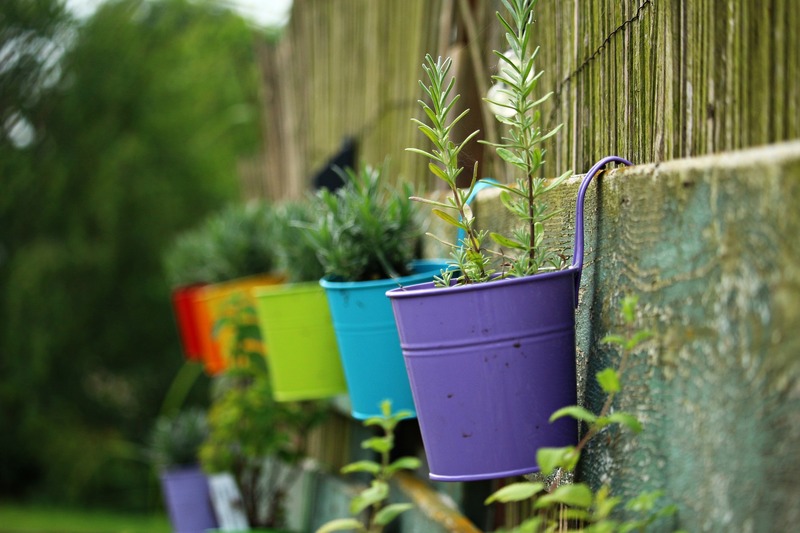 Scented plants grown in pots allows you to have the sight and scent of the plant exactly where you want it. And when you are in a cold climate like I am, it’s nice to be able to bring some of them inside for the winter. 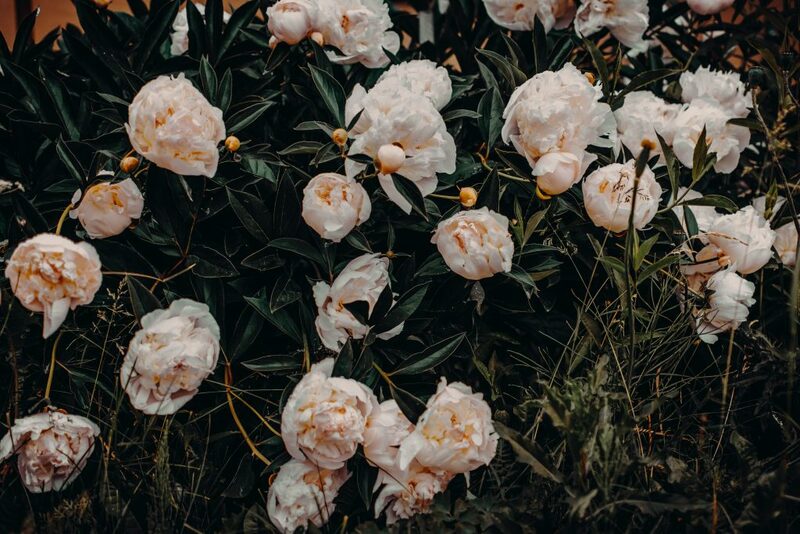 Create a hanging basket of scented flowers and hang it near the entryway so you (and visitors) can enjoy fragrance and beauty when entering and exiting. Hanging planters inside or outside the window, will create a lovely view and provide fresh fragrance to your home too. 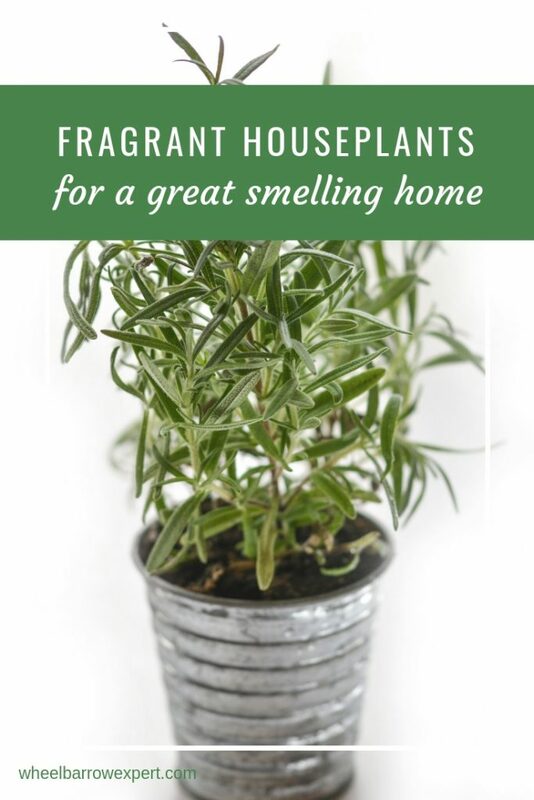 If you like the scent of these plants and flowers, but don’t want to grow them, trying diffusing their essential oils in a glass or non-plastic essential oil diffuser. 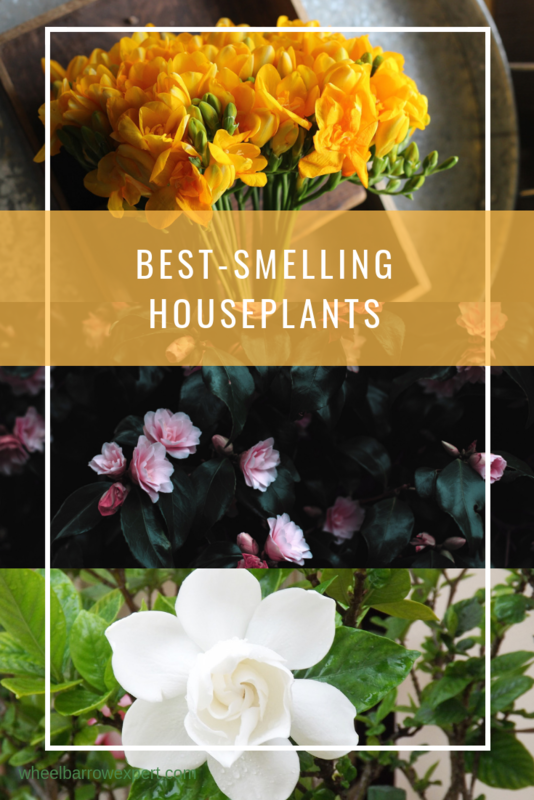 Container grown plants are easy to care for, and here’s a list of some of the easiest scented plants to grow in pots. Roses are prized for scent and beauty. Grow a dwarf or climbing variety in a sunny location on your patio or balcony. 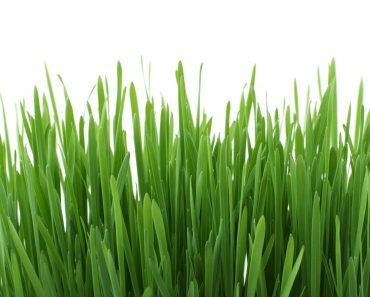 Feed monthly with an organic water soluble fertilizer and enjoy the sweet aroma of blooms all summer. 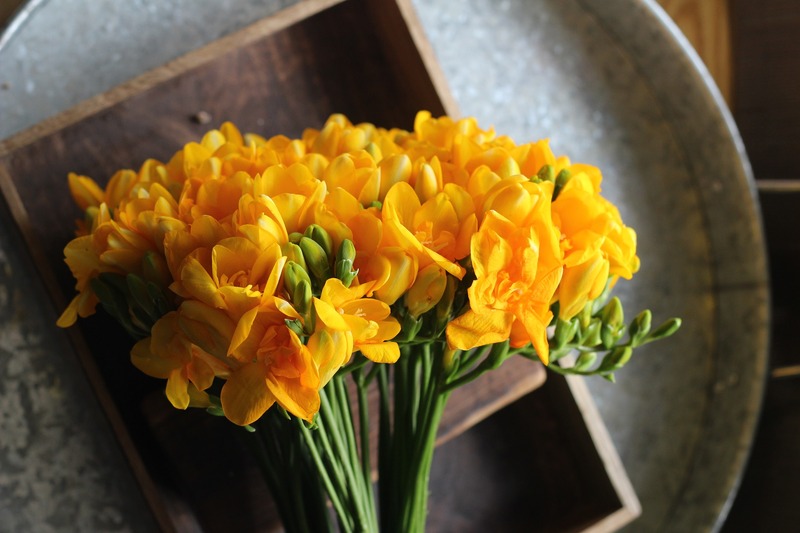 Freesia bulbs can be forced into bloom any time of year. Plant bulbs in a pot and place in a sunny window. Keep soil moist and the fragrant yellow, white, pink, or purple flowers will appear in four to six weeks. 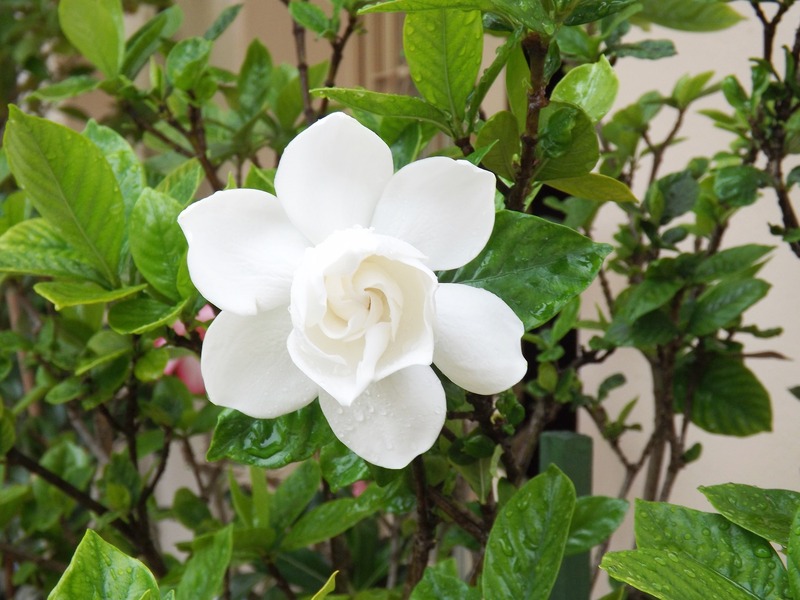 Gardenias will form a small bush and will need to be planted in a large container and kept in a sunny location. 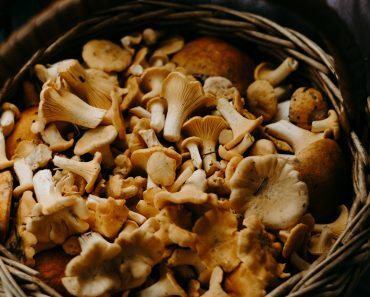 They love acidic soil, so add half a cup of coffee grounds to the soil prior to planting, and every six months after planting. Daphne enjoys sandy soil and morning sun. Create a planting mix that is half potting soil and half sand for Daphne to grow in. Place pot in an east-facing window. Peony is a strong scented plant that will fill a room with sweet fragrance in spring. Plant ‘eyes’ (bulbs) no deeper than two inches in a pot filled with loamy potting soil. 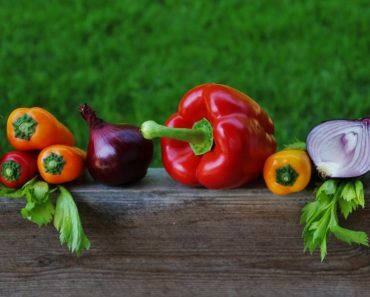 Place pot in a location that will receive at least six hours of direct sunlight each day. 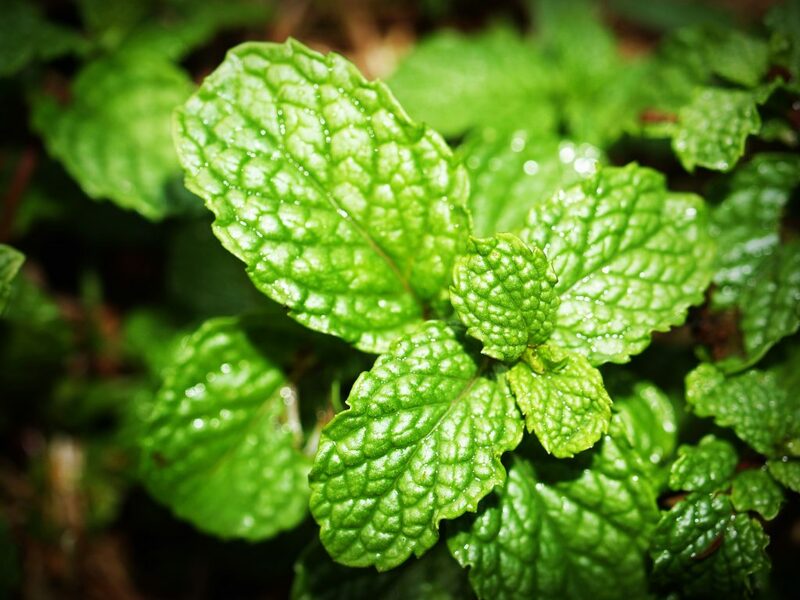 Mint will provide constant fragrance without blooms. Place pot or hanging basket in a sunny window and keep tops pinched off to promote lateral growth. Any time you want fragrance, touch the mint plant. 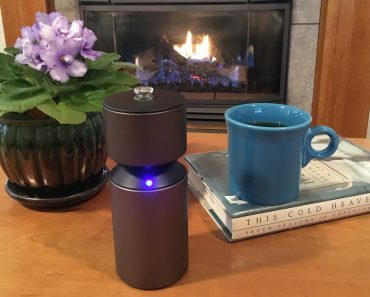 It can also be used in cooking and cocktails. 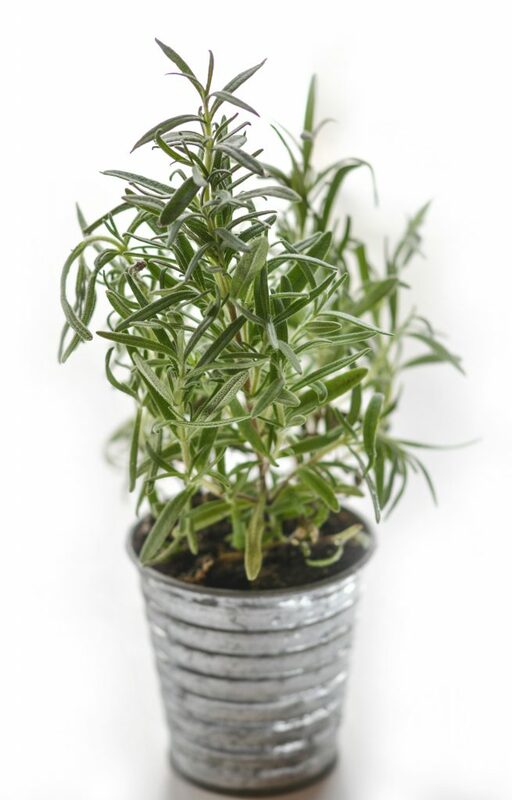 Rosemary loves lots of sunlight and can be grown in a south-facing window or on a sunny balcony. The fragrant herb needs to be grown in a six-inch pot and only watered when the top of soil becomes dry. Rosemary is the perfect adornment for Mediterranean-style dishes. 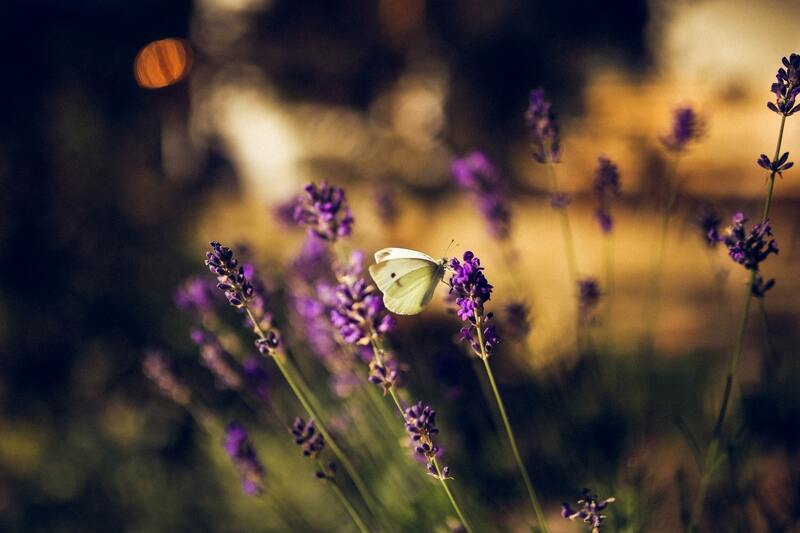 Lavender grows best in a terracotta pot. Water sparingly during winter months. 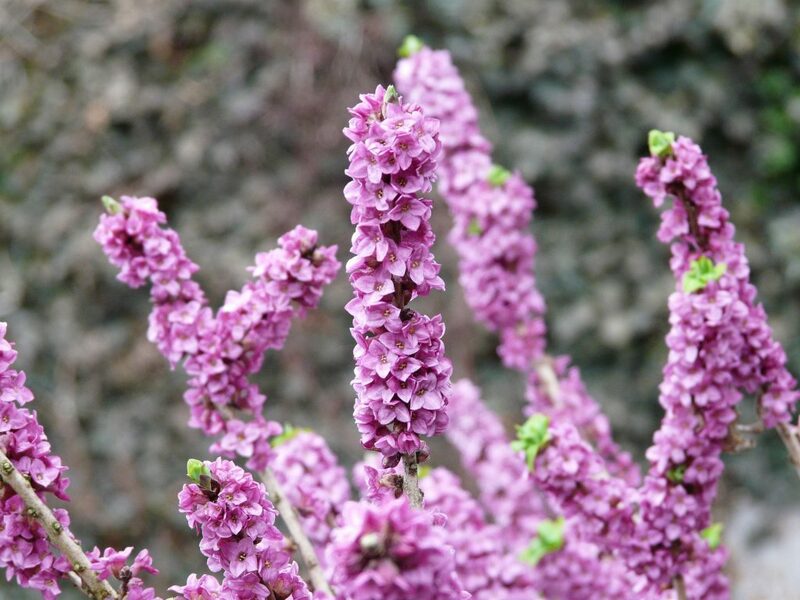 Spikes of fragrant purple flowers will be on lavender year around. Dry lavender and put it in a sachet for sweet smelling drawers or to help you fall asleep. I have an eye pillow a friend made with dried lavender and rice and it is a delightful aid to relaxation. 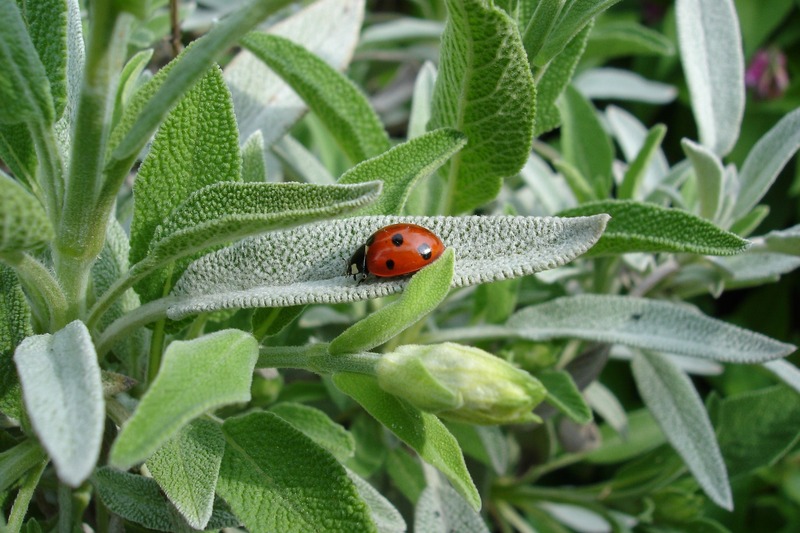 Sage enjoys bright sunlight and very little water. Harvest leaves for recipes as needed or rub between your hands and inhale. Scented geraniums thrive in cool temperature and indirect light. Keep pot away from drafts and only water when top of soil is dry. 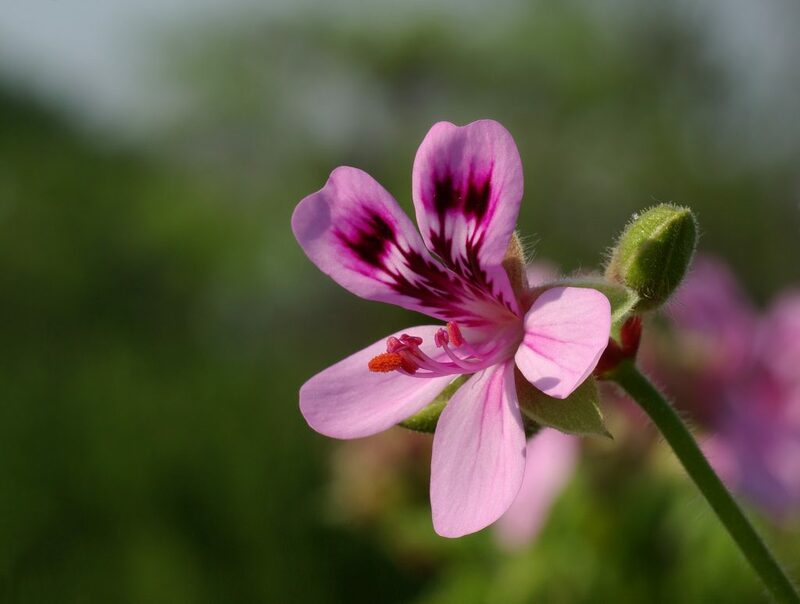 There are a wide variety of scented geraniums to choose from, including chocolate mint, cinnamon, citrosa, fringed apple, lemon, and rose!